If you’re lucky and clever enough to brave your Christmas shopping today before the weekend rush, treat yourself to lunch at Yates’s and save money too! 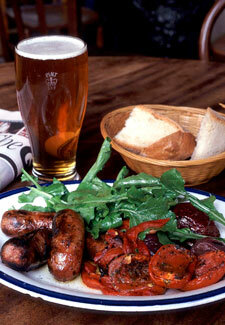 50% off Thursdays sees you save half price on all traditional pub food from the main menu. Choose from Yates’s Specials such as Smoked haddock, salmon and king prawn pie and award-winning bangers and mash or fill up on the great mixed grill. There is also a grand selection of sandwiches, wraps, paninis and even tacos to choose from, if you fancy a lighter bite. Go to Yates’s to check out your nearest branch and enjoy!